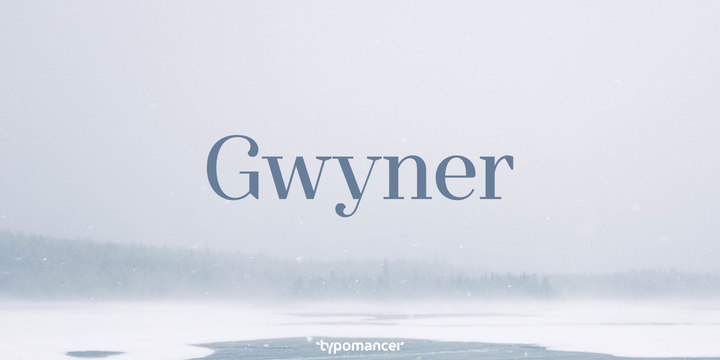 Gwyner is a modern typeface created by Warit Chaiyakul and published by Typomancer which is available in 16 styles, 2 widths (Normal & Condensed) each with 4 weights (from Thin to Bold) and italics. Characterized by clean elements it is suitable for any kind of project. Have fun! Price: starting from $24,00 for one font to $190,00 for all 16 fonts. A font description published on Monday, September 4th, 2017 in Fonts, Typomancer, Warit Chaiyakul by Alexandra that has 1,780 views.